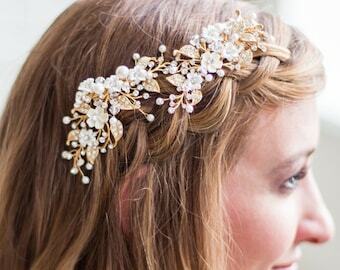 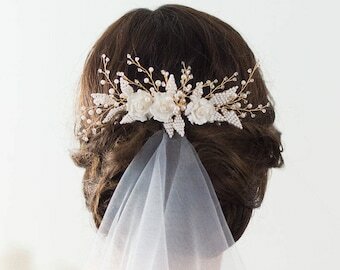 This is one of my favorite new headpieces! 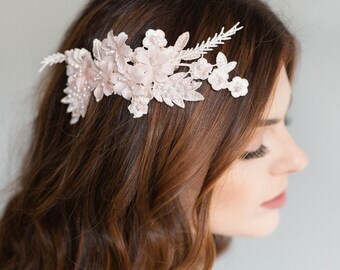 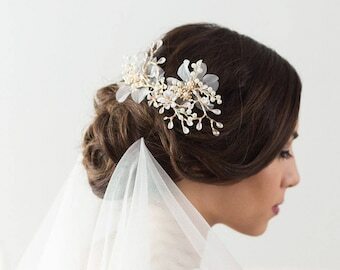 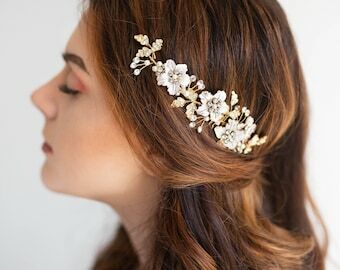 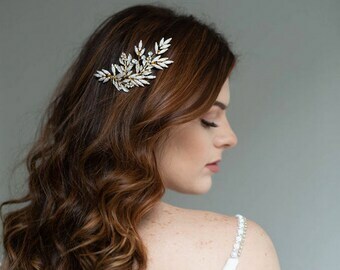 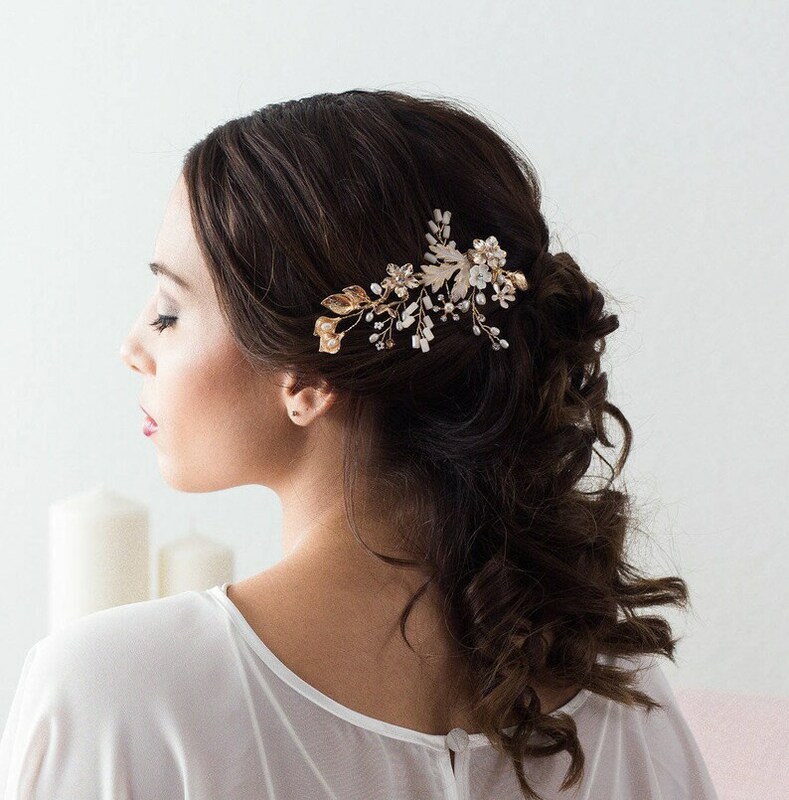 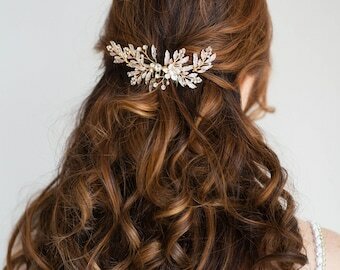 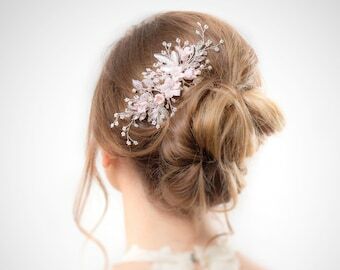 Hand painted with white enamel paint leaf and flower details, blush pink antiqued metal leaves, and blush pink beaded stems make this such a gorgeous and detailed bridal headpiece. 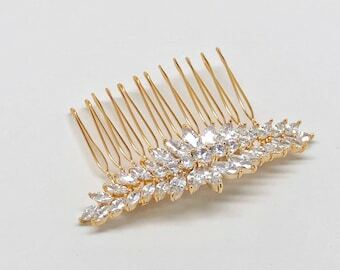 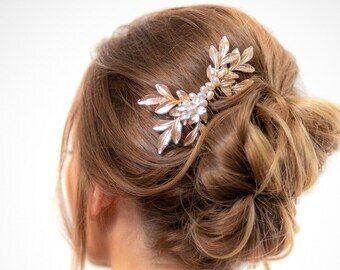 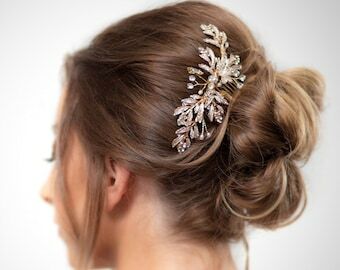 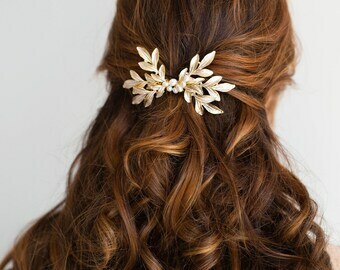 It's extremely flexible so you can wear it in so many different ways with your hair up or down. 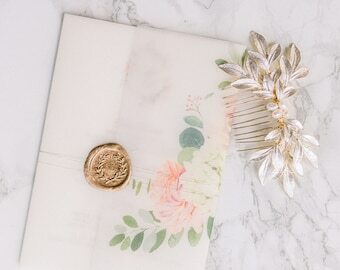 ~ ❤ About 5" x 2"